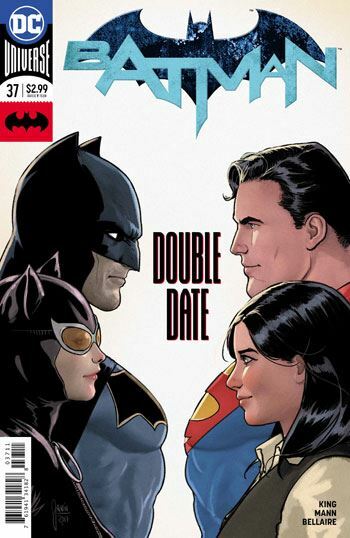 Lois, Clark, Bruce and Selina go on a double date. It hits a snag right off the bat as the fair they want to attend has a super hero theme going on and our heroes have secret identities to protect. Lois and Selina really want to go despite Bruce’s protests so Batman dresses as Superman and vice versa. The date is pretty peaceful uninterrupted by super villains. The most dangerous event is a mugger dressed as the Question who is easily foiled. 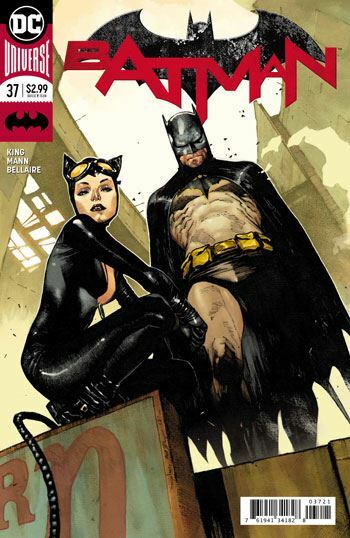 The main crux is Bruce and Selina explaining to Clark and Lois why they are getting married. This comic is quite cute and fun overall. King seems best writing filler self contained stories and this is a light hearted examination of who the bride and groom to be are at their heart. The art isn’t spectacular but is bright and vivacious which matches the story quite well.